Fine hair is hair in which the diameter of each individual strand is fine. It does not refer to the actual number of hairs on your scalp. What may surprise you is that those with fine hair actually have more hairs on their scalp than any other hair texture as there is room for more of them! And as each hair has an oil gland attached, fine hair has the tendency to get oily and limp quickly. If you have fine hair, your hair will feel thin and lack natural body and bounce. There may also be areas where you can see your scalp though your hair. Fine hair can be either straight or wavy and is typical of Caucasian hair types. 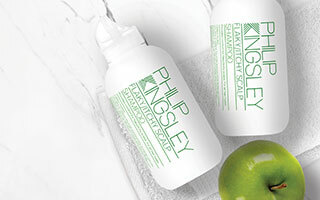 Our multi-award winning Trichotheraphy Regime is ideal for fine hair, created to help maintain optimum hair and scalp health from the inside out. Used in combination with a healthy diet and lifestyle, the 3-step holistic regime creates thicker, fuller hair and encourages healthy hair growth. Daily shampooing is best for the health of all hair types and scalps. It benefits the general condition of your hair and also helps create the optimum scalp environment for hair growth. If you have fine hair daily shampooing may already be part of your daily regime due to your hairs’ propensity to becoming oily quickly at the roots. If you aren’t washing your hair daily, the best way to add body and shine and to avoid associated limpness is to do so. That said, we also find that many individuals with fine hair are reluctant to use a post-shampoo conditioner thinking it will weigh it down. However, a post-shampoo conditioner is essential for all hair textures. The correct conditioner applied in the right way will simply add shine and lead to hair that feels and looks both shiny and healthier. There are even conditioners formulated especially for finer hair types to help add bulk to individual strands. Those with fine hair should always match the shampoo they choose to their hair texture, and then choose a conditioner by factoring in hair length and level of heat and chemical processing as well. The most common complaint amongst women with fine hair is that their style lacks body and bounce. Other than using a body building shampoo, you can also use styling products that add root lift and fullness throughout the lengths. 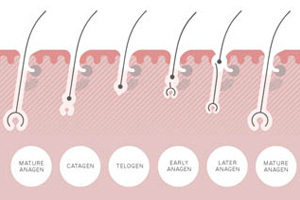 For more information on this please read our section on limp hair. 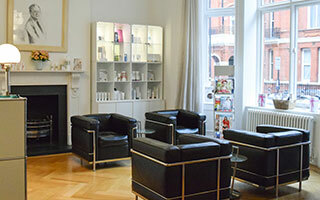 If you have fine hair that lacks body our clinics based in London and New York specialise in hair and scalp treatments.